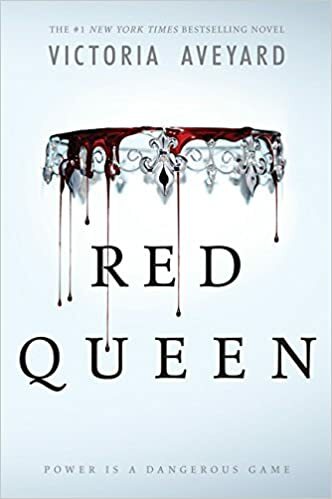 Victoria Aveyard’s internationally beloved #1 New York Times bestseller is now in paperback!Mare Barrow’s world is divided by blood—those with common, Red blood serve the Silver-blooded elite, who are gifted with superhuman abilities. Mare is a Red, scraping by as a thief in a poor, rural village, until a twist of fate throws her in front of the Silver court. There, before the king, princes, and all the nobles, she discovers she has an ability of her own.To cover up this impossibility, the king forces her to play the role of a lost Silver princess, and betroths her to one of his own sons. As Mare is drawn further into the Silver world, she risks everything and uses her new position to help the Scarlet Guard—a growing Red rebellion—even as her heart tugs her in an impossible direction. One wrong move can lead to her death, but in the dangerous game she plays the only certainty is betrayal.This sweeping story of palace intrigue, class hierarchy, and deception will keep readers hurtling along, desperate to find out Mare’s fate. Her honesty and determination, quick wit, and no-holds-barred attitude will surely make readers fall in love with her. If you enjoy YA fantasy romance, like Ash Princess or the Selection, read this series. An emotional roller coasters and twists galore. I loved this story! When a book makes you want to atomically download the next book it is a good read! Absolutely Love it! I Reccomend the series to all my friends and we love it! Cant wait for the next book!